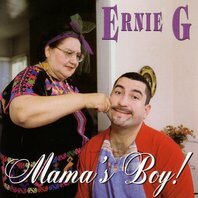 The birth of "Ernie G." came in March of 1996 with Ernesto Tomas Gritzewsky's first pro gig at the "Eastside Comedy Jam" in Alhambra, California. He then became a "Latino Comedy Night" regular at the Laugh Factory in Hollywood and appeared at his first Latino Comedy Olympics show at the World Famous Improv. After 20 weeks of playing to standing-room-only crowds, Ernie moved on to the Comedy Store, where he opened for Paul Rodriguez and Culture Clash in the Main Room for "La Fiesta USA" and co-hosted "La Fiesta LA" in the Original Room. Gritzewsky is the first person from his Mexican, American, Puerto Rican, Russian, and French family to graduate from college. In 1994, he graduated from Loyola Marymount University with a B.A. degree in psychology and a minor in Chicano Studies.